If you need the assistance and advice from a qualified brain injury lawyer, then please call us today. We have years of experience in helping both sufferers and the families of those who have been afflicted with a serious and traumatic brain injury. Brain injuries can be incredibly severe and have a life-changing impact on you and your family. If you or a loved one have been involved in an accident that has caused brain damage, you have the right to pursue compensation against those who have caused you harm. At Friends Legal, we can help you get the compensation you rightly and legally deserve. Call Our No Win No Fee* Brain Injury Solicitors – Talk to our specialists now about whether your claim can be assessed by a brain injury lawyer. Our Freephone number costs nothing to call, and all calls are confidential. We operate on a strict no win no fee* basis and work to secure brain injury compensation for our clients as quickly as possible. Why Use Specialist Brain Injury Solicitors? Evidence will need to be used in order to demonstrate the strength of your claim. In turn, this will need to be handled by a capable adviser who has experience of legal argument and the tenacity to adopt different lines of enquiry in order to find support for, and strengthen, your claim. Brain injury compensation is often made all the more complicated by the need for expert testimony in order to support your claim. This needs to be robust enough to withstand logical scrutiny, and used effectively in order to lend weight to your claim. Taken together, personal injury claims for this type of injury and accident represent a significant challenge. You should ensure that your claim is handed by a solicitor who has experience in pursuing a brain injury compensation claim, to ensure that your case is adequately prepared in order to achieve the best result possible. The first legal test requires it to be shown that the person who is alleged to have caused the injury owed a duty of care. In other words, it needs to be established that, in law, there was an expectation that this person had a responsibility not to do or fail to do anything that could cause you to suffer harm. Afterwards, it will need to be demonstrated that this person failed to observe the duty of care that they owed to you. This is essentially about being able to evidence that their conduct fell below that expected in the circumstances, and this conduct caused your injuries. When you call our claims helpline, our expert brain injury solicitors will assess the case individually. This process is entirely free, and comes with no obligation. And it’s key to remember that we work on a strict no win no fee* basis, so by calling us you aren’t committing to anything, and a successful brain injury claim is at no financial risk to you. Most commonly, brain injuries tend to be associated with road accidents, e.g car collisions and motorcycle accidents. All road users are legally obliged to conduct themselves with the skill and care that is, within reason, to be expected of them. If a fellow road user behaves recklessly while driving, and this causes you to suffer an accident resulting in brain injury, then you will be able to make a claim against them for financial compensation. It should be pointed out that accidents culminating in serious injuries are not restricted to the UK’s roads. It is not uncommon for workplace injuries, or even accidents in public places to result in severe head injuries. In the case of employment, your employer is expected to take steps to provide for your safety and any failing on their part could mean that they are liable to you in compensation. The same is also true of accidents in public places, where in most cases, the local authority is expected to – within reason – maintain the environment such that members of the public are not put at unnecessary risk of injury. Where a trip or fall on an uneven pavement causes head trauma resulting in any degree of brain damage, you will be able to raise a compensation claim against the relevant local authority. Brain injuries resulting from an accident are significant, with even minor injuries having a profound impact on people’s lives. The reality is that even the smallest degree of damage to the brain can completely alter someone’s life, and may well rob them of their independence. A brain injury claim therefore demand to be handled by advisers who have sufficient knowledge and experience, appreciate the realities faced by claimants and use their skills to achieve the result their clients are entitled to. At Friends Legal, we have an expert team that specialise in handling brain injury claims. Our brain injury solicitors, many of whom have several years’ experience of the process involved, are routinely involved in representing clients who have suffered head injuries of varying degrees of severity in a variety of different circumstances. We will be able to take control of every aspect of your claim, allowing you to rest easy knowing that your case is being handled by skilled professionals who are committed to achieving the best result for you. As with most personal injury claims, it is incredibly difficult to set out in the abstract what level of compensation you might expect following a successful brain injury compensation claim. You must keep in mind that the rules governing compensation for personal injury are designed to reflect individual circumstances: the sum of money you ultimately receive in compensation will be calculated according to the gravity of, and circumstances surrounding, your injury. A brain damage claim can be incredibly varied. As mentioned above, they will be in-keeping with the particular circumstances of a claim. Minor injuries to the brain can attract between £12,000 and £15,000 in compensation. However, given the importance of the brain to the human body, damage to which can impact on your ability to function or even your ability for conscious thought, severe cases can attract significantly higher sums of compensation. It is not unheard of, where an accident results in severe brain damage, e.g. irreparable damage to a certain portion of the brain that impedes your ability to function independently, can yield hundreds of thousands in compensation. A factual account that identifies the accident as being the cause of the resultant injures, endorsed with sufficiently convincing expert testimony. Ultimately, the brain injury claims process is designed to ensure that the party who caused you to suffer is held responsible for their actions. This also means that in order for a claim to be successful, there must be clear evidence as to where fault lies, and the duty of care that was owed and violated. Your claim will undeniably be very important to you, and should only be handled by a specialist traumatic brain injury lawyer who understands the realities you have to deal with living with a serious head injury. Contact the understanding and hardworking team at Friends Legal today and find out how we can help. We will listen to your case, and find all the fine details about the accident and how the injury occurred. We will then gather the necessary evidence and talk to any witnesses to the accident so that we are able to build up the best case to stand the best chance of winning. From time to time brain injury compensation claims will be settled outside of court, but each step of the way we will advise you in plain English about what we think is the best route in our professional opinion. Our solicitors will support and advise you every step of the way so that you can claim the compensation to make a difference to your family. Due to the severity of brain, head injuries, and neck personal injury claims, our brain injury lawyers are trained to be very sensitive and committed to winning you the maximum amount of compensation. It can have a devastating effect on your life, family, work, and daily existence. Due to the sensitive nature of these type of claims, one of our brain damage lawyers are trained to work out how to claim compensation that will make a difference to the life changes that are going to be needed. Of course, money won’t fix everything, but with the additional support of charities and support groups which we can recommend to you and your family, you can get the best rehabilitation and equipment needed to cope with serious brain injuries. Should you choose us to handle your brain injury compensation claim then you will benefit from the following support and advice. When making a brain injury claim, our solicitors and lawyers will need to consult with your medical records. There is a professional scale to measure the seriousness of head injuries called the Glasgow Coma Scale. This sliding scale of seriousness will define the severity of any injury and will help the brain injury lawyers in making brain and spinal injury compensation claims and arrangements for the client. We have some of the most experienced and compassionate brain injury solicitors in the UK working on helping clients to make compensation claims. Brain injuries can have a horrendous impact on a person’s life, and that of their family where life can never be the same again. What we do is try to ensure that the correct and proper support is attained when claim for brain injury compensation so that sufferers can work to be as comfortable as possible. 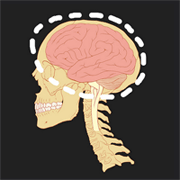 What Defines a Serious Brain Damage Claim for Injury? If you or a member of your family has suffered, then there are some excellent support groups available in the United Kingdom. Whether you need someone to talk to, or need on-going support, then the following groups will be able to help. Sometimes our clients rely very heavily on these associations whilst a brain injury compensation claim is being processed, and actually end up making life-long relationships.